Your Wednesday afternoon happy news: It looks like Lorde is just going to keep on killing it in the music industry. 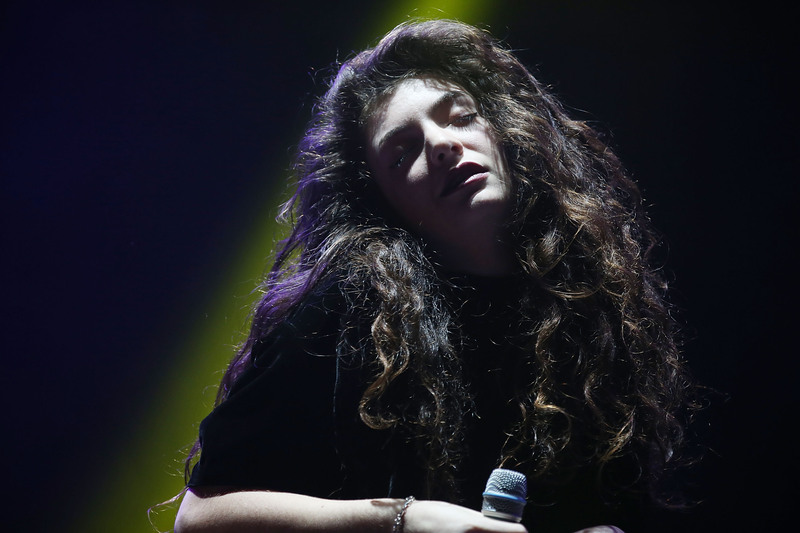 According to Vulture, the queen teen herself (real name Ella Yelich-O’Connor) and her song, "Royals," has finally dethroned Miley Cyrus' "Wrecking Ball" as the number one song in America — and Lorde's just 16-years-old. What were you doing at 16? Probably not recording the number one song in America while simultaneously juggling grammar school in New Zealand, that's for sure. If you were, I apologize, but I'm pretty sure that you weren't because I think everyone would have heard about it. Lorde deserves her own shrine or something, in a totally not creepy way, because that's pretty impressive! Another great fact about this worth noting: Lorde is now the youngest artist to achieve number one status in the U.S. since 1987, when Tiffany's "I Think We're Alone Now" nabbed the spot at the top of the charts that year. This news comes just one day after Lorde made her U.S. TV debut on Late Night With Jimmy Fallon , giving a haunting and charming performance of her now-number one song "Royals." Basically, it's been a good week for her, and for us.